Sat. 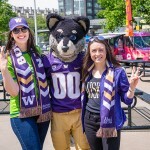 May 11, 2019 7 p.m.
Raise your scarves with fellow Huskies as the Seattle Sounders FC takes on the Houston Dynamo. 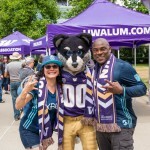 Join Harry the Husky and cheer on Seattle Sounders FC players Cristian Roldan, Henry Wingo and Handwalla Bwana. 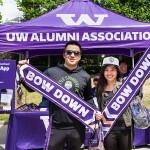 Accent your green and blue with some Husky purple — let everybody know that the Dawgs are in the house! Tickets are $29 for sections 308. $5 from each ticket will go to UWAA’s student scholarship fund. 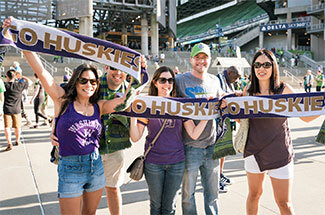 UWAA members: Show your membership card at the UWAA table in the North Plaza to pick up an exclusive Husky fan scarf. Giveaways begin at 5:30 p.m., and supplies are limited. Not a member? Join today! Questions about this event? 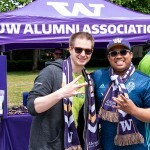 Please contact Kevin Diffley at kevind@soundersfc.com or 206-512-1254.